These tablecloths are typically 70” round, but can be done in many shapes and sizes. The standard color is white, other colors are available (please send an email for color and size options and pricing). The embroidery can be done in any of over 800 colors of thread on hand, and you are welcome to send swatches to match. There are a number of sample layouts shown, but you are welcome to come up with a style completely your own, or add another element to the design, just as the chandelier is added to the example (some designs may alter pricing). 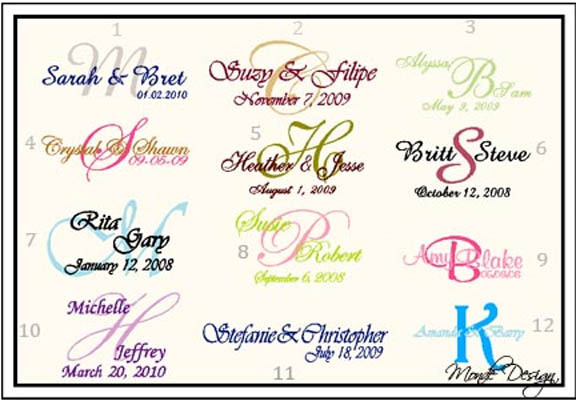 Sample monograms-please choose "other" if you want a different layout. Fonts and layouts can be switched, so if you like one layout, but a different font, just let me know and we can switch them around. 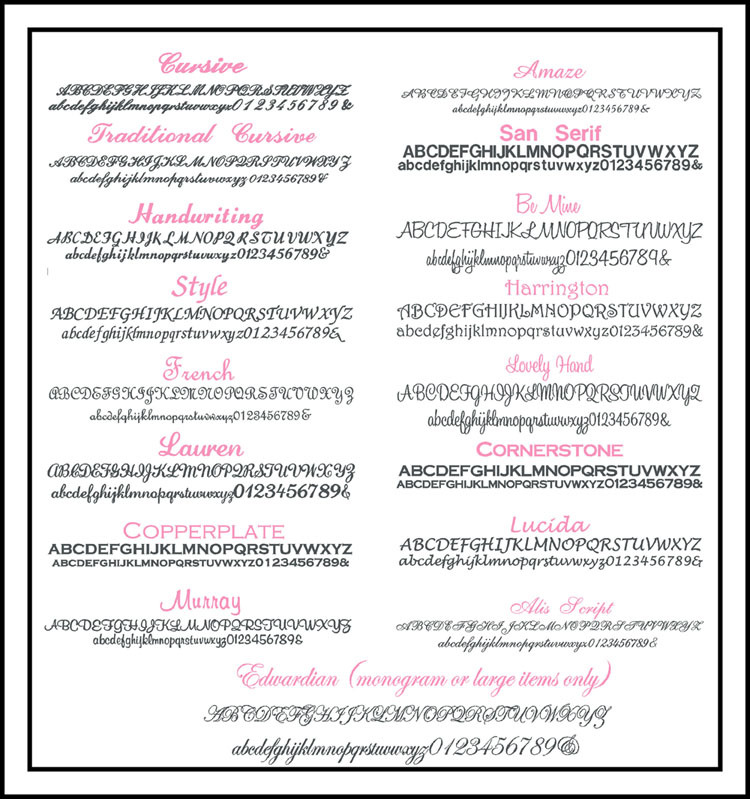 You can also choose from the font list, and choose a layout option. 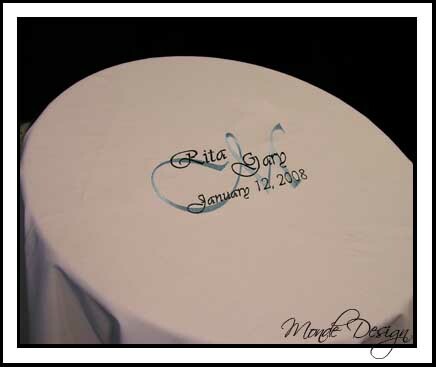 If using as a guest book cloth, permanent fabric markers are recommended, and come in a variety of colors. 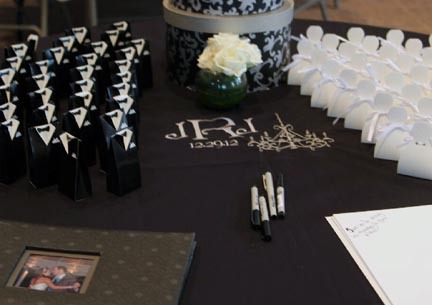 Place the table and cloth where you would normally have a guest book podium, and guests can sign all around the table, instead of waiting in line for one spot. These table cloths are also a great idea for anniversaries, showers, and birthdays.